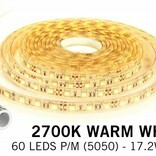 Waterproof IP68 Warm White (2700K) LED strip with 300 LEDs. SMD 5050 IP68 fully waterproof, 12 volt, 5 meters. Waterproof Warm White LED strip with 300 LEDs. IP68 stands for completely waterproof. 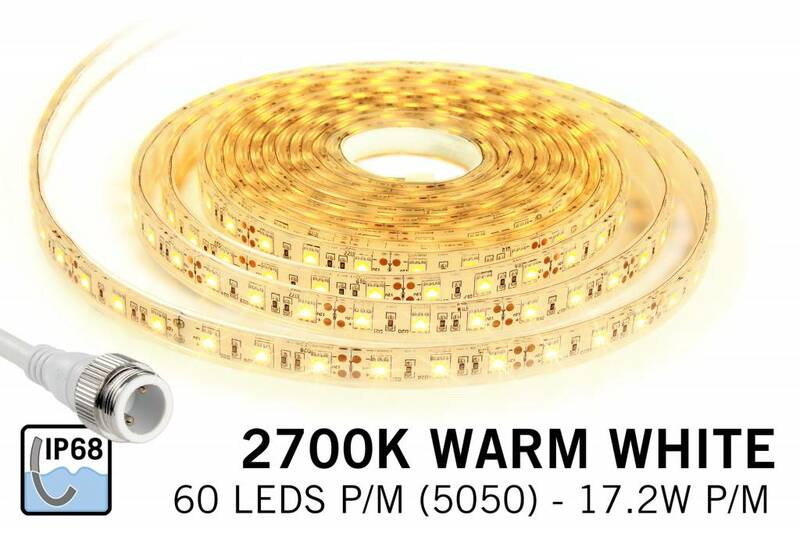 This waterproof warm white LED strip is rain resistant, and can also be used underwater for example a pond or aquarium with warm white LED light. The bright warm white (2700K) color creates a pleasant ambience lighting. 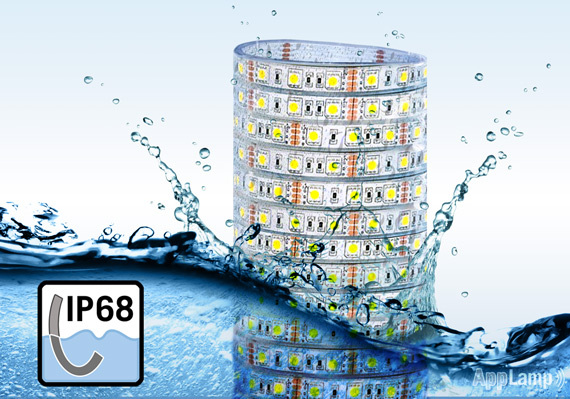 This versatile IP68 strip contains A-quality LEDs and leaves many other LED strips behind with its long life span and 18 lumens bright SMD 5050 LEDs, as well as through the use of high quality materials. The waterproof warm white LED strip can be cut every 5cm. Look for accessories, such as additional sealing end caps with silicone and mounting clips in the category "LED strip accessories". This waterproof LED strip with 60 warm white LEDs per meter has a length of 5 meters.